Former pupils and staff took a look back at Elgin Academy. 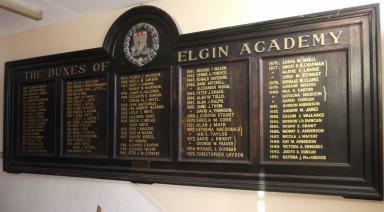 Hundreds of former Elgin Academy pupils took a nostalgic walk around their old school building at the weekend ahead of its demolition later this year. Around 1000 pupils will move to a new purpose-built building just yards from the current Academy on Morriston Road. One of the oldest schools in Scotland the history of Elgin Academy can be traced back to the middle ages, with the first school on the corner of Academy Street and Francis Place around where the youth café currently stands. 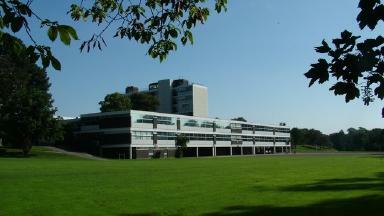 A new building was built in 1801 on the site that is now Moray College, with the Academy moving to its current site in the late 1960s. The tower block at the existing school has been an Elgin landmark for nearly 50 years. The tallest building in Moray each of the floors (apart from the ground) is dedicated to a particular subject taught at the Academy. Local librarian Stephen Leitch helped organise the open day at the school on Saturday, welcoming many former pupils and staff for one final look around. Stephen said: “We had old school magazines and books on display as well as a wide selection of photographs and old uniforms. “The school archives are being donated to the local Heritage Centre in Elgin which will allow much greater access. The new Elgin Academy is expected to be completed in February with pupils likely to move shortly after. As well as modern classrooms the new school will boast a games hall, gymnasium and fitness suite, dance studio and a floodlit full-size all-weather sports pitch, two grass pitches and six-lane athletics track.